icount > Money Guides > Bank Accounts > Refused a bank account: What will happen if I apply for a prepaid card? It can be a tough pill to swallow if you’ve been refused a bank account, and you may feel like you’re out of options – however, this is not the case. The icount prepaid Mastercard® is a high street bank account alternative that helps you to save money, pay for goods and services and receive a wage or salary, just as a normal bank account would. This can give you more freedom and flexibility with your finances if you’ve been declined a current account with a high street bank bank in the past. The average person living in the UK has to make two current account applications before being accepted by a high street bank. This money guide will give you all the information you need to get your icount prepaid Mastercard®️ with current account up and running, so you can get back on the right financial footing. Why have I been refused a bank account? There are a variety of different reasons why a bank or current account application would be rejected. An order issued by the county court when someone has failed to pay back money that they owe. If the CCJ is not paid off within 30 days, then it will show on your credit record, which could be a reason for a high street bank account application being rejected. There may have been some bad debt in the past that is affecting your finances, including your bank account application. It’s worth checking your credit record to ensure there are no mistakes holding you back. Find out how to improve your credit rating with icount’s Creditbuilder™ service. 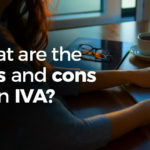 If you’re currently in an IVA or have been made bankrupt in the past, this could affect your bank account applications. Find out more about how the icount basic current account works alongside an IVA. If you’re unable to provide proof of address or valid ID, then this could mean you’re bank account application is rejected. Even if you have been denied access to a current account by a high-street bank, there are other options available to you. Includes the same features as a current account, aside from the overdraft facility. The icount prepaid card with current account is a great alternative to a bank account. You can use the card and the account to pay for things, withdraw cash and set up direct debits and standing orders. A financial provider that could offer you access to a basic current account, providing you live and work locally. A prepaid card is a card that you load money onto; when you spend money with the card, the amount you spend is deducted from the total. 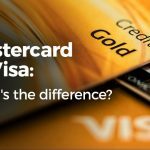 This may sound similar to a debit card, however, there are a few key differences that you should be aware of. Read our money guide on the differences between a prepaid card, debit card and credit card to learn more. Unlike a standard bank account, you can only spend the amount that is loaded onto the card, therefore, you cannot go into a negative balance and rack up hefty overdraft charges. However, with the icount card you can add the i-draft to your account. This is an arranged overdraft that allows you to spend to £250 more than your balance, without having to pay any penalties. Rejected for a bank account – will the icount current account with prepaid card accept me? The icount current account with prepaid card has a simple application process. The account is approved instantly, meaning you’ll get your sort code and account number to use whilst you wait for your card to arrive in the post. What’s more, there are no credit checks to worry about when applying for the icount current account with prepaid card. What are the main prepaid card benefits? Prepaid cards come with a wealth of benefits that you wouldn’t normally get with a standard or basic bank account. Read on to learn about some of the advantages of prepaid cards. Instead of waiting for approval for a high street bank account, you can receive an instant current account and sort code when you apply for a prepaid card. This means that you can receive a wage or salary and set up direct debits, without the need for a standard bank account. Banks can refuse accounts for reasons such as having a poor credit rating or bankruptcy. Fortunately, a prepaid card such as the icount card provide an alternative option if this has happened to you. You won’t be subjected to credit checks when you apply for the icount card. Therefore, you will still get an icount card, regardless of your financial background, and you won’t risk damaging your credit rating even further by sending an application. Creditbuilder™ is a feature that is exclusive to icount and this allows you to rebuild your credit score over time. You can add the feature to your existing account, and we will lend you a year’s worth of monthly fees in advance. You will need to repay the loan over 12 months (£9.95 per month in monthly fees), and if you keep up with your payments, this information will be sent to your credit reference agency and will work towards improving your credit score. How do I apply for an icount prepaid Mastercard®️? Applying for an icount card is easy! Simply hit the button below, and decide whether you want to pay a flat monthly fee of £9.95, or pay 2.5% per transaction with our pay as you go option. Once you’ve chosen your preferred payment option, fill in your details and you’ll be one step closer to becoming the proud owner of an icount card!